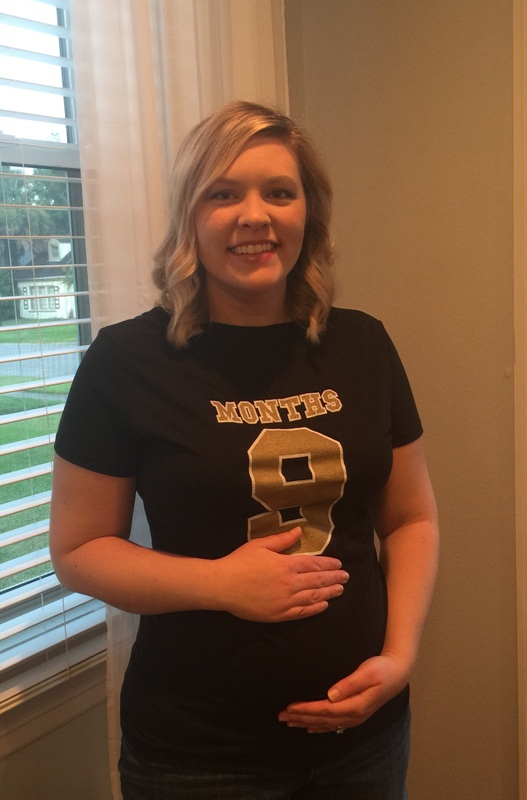 A little inspiration for all my ladies struggling through infertility…I bought this shirt a year and a half ago because I thought I would surely be pregnant at some point last football season. It broke my heart when the season came and went and I had to stuff the shirt up at the top of my closet. Tonight I got to climb up there and get it down for our first pre-season game. Dreams really do come true. Don’t ever let anyone tell you differently! I love the shirt. But what were YOU doing climbing up in the closet? The shirt looks great on you and on our little angel. Behave yourself! I love it!! 🙂 I hope to be wearing a cute baby shirt very soon myself! You are an inspiration to me!! Thank you so much! That means the world. You will be in my prayers!